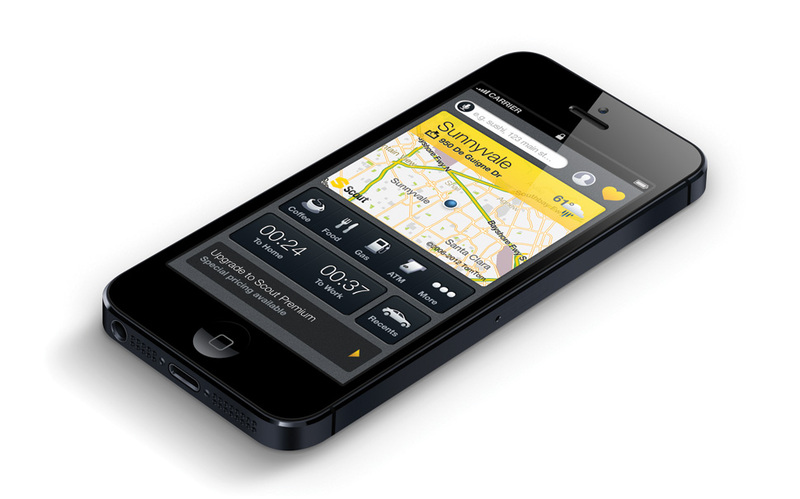 As part of the product team, I helped to design Scout app, Telenav’s flagship product. 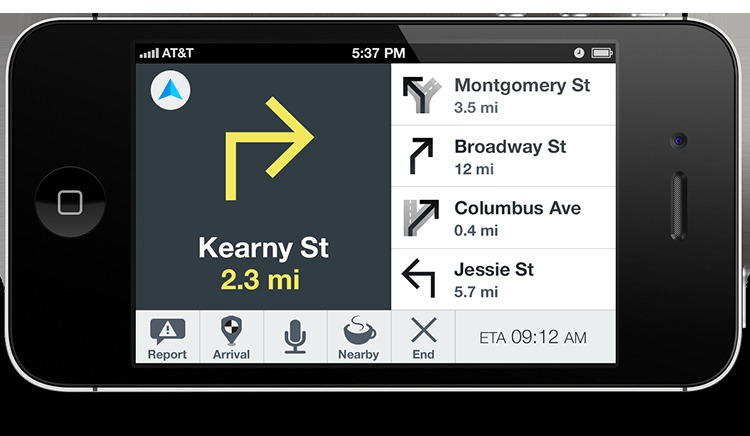 As a navigation and discovery app with tons of features, the product posed many design challenges. There were also concerns about “glance-ability”, trying to drive engagement while discouraging unsafe usage especially while driving. Through intensive collaboration, our team simplified complex interactions. 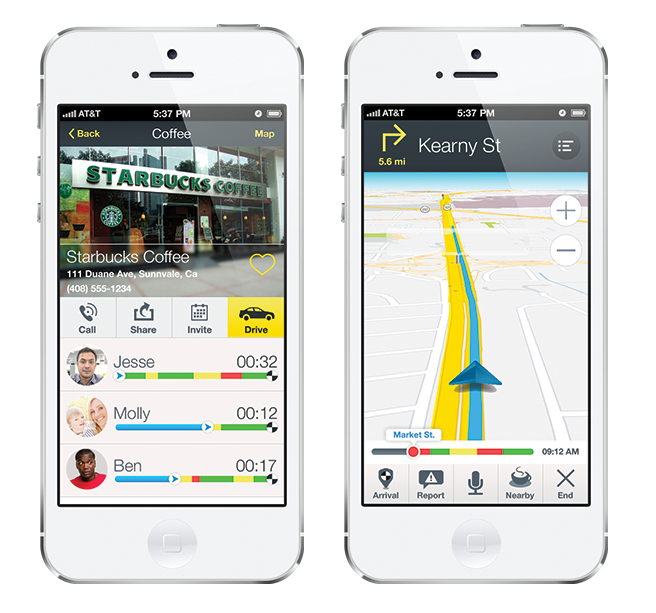 Visually, I relied on minimal color use, typography and custom drawn icons to create harmony throughout the app. 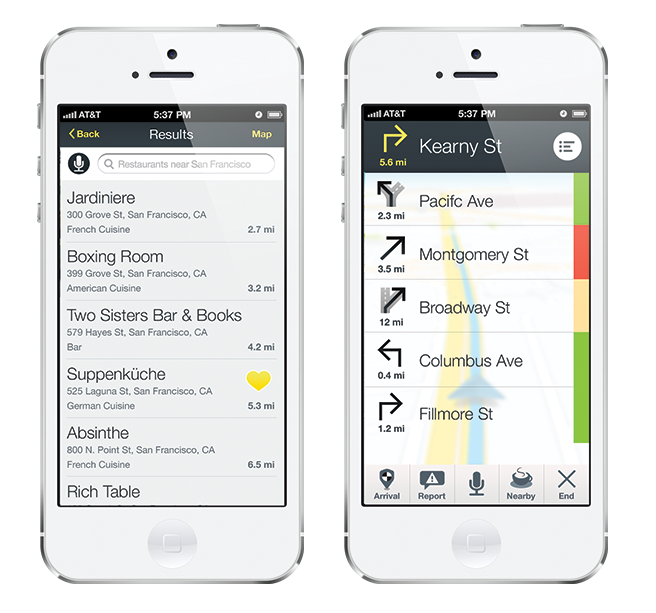 At the time, Scout was a 4 star app and praise for its simple design was not uncommon.